Crop Update: What a blessing to have rain this past week! Grateful for how it provided much needed moisture into the top two feet in many cases. Updated soil moisture status will be at http://jenreesources.com. Some in our area and in other parts of the State received wind, hail damage, and flooding to crops. 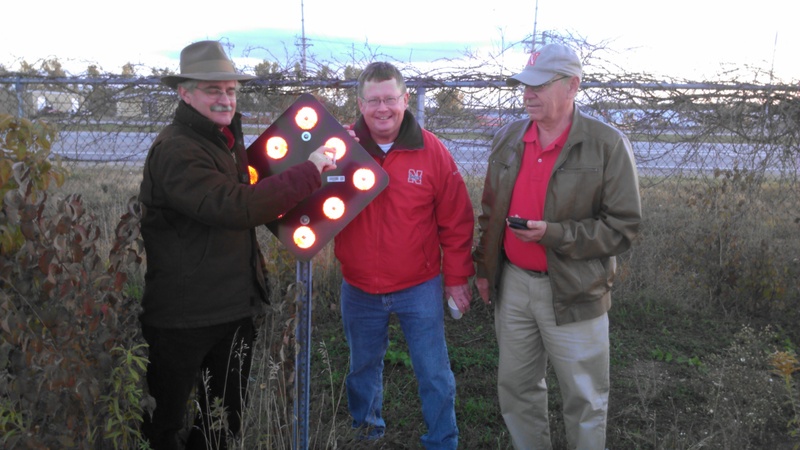 This week’s CropWatch at http://cropwatch.unl.edu shares information for those situations. A few summarizing points: for those with greensnap or with severe hail damage, you may wonder what potential yield may be based on your planting date and current plant stand. The following chart from Iowa State University and explanation of how to understand it may be helpful: https://crops.extension.iastate.edu/cropnews/2009/05/assessing-corn-stands-replanting. 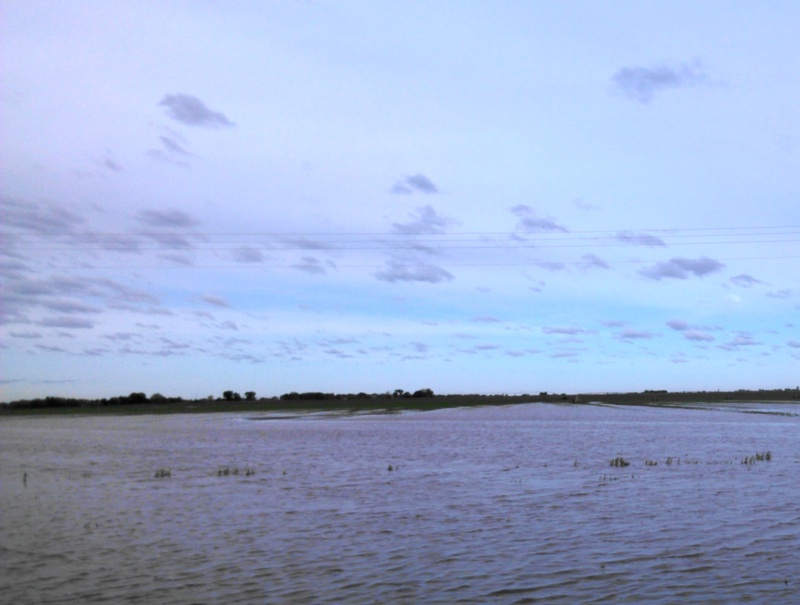 For those with flooding, corn in the V7-10 leaf stage can survive for about 7-10 days in flooded water. Temperatures above 86F can result in greater stress on those plants than if the temps remain cooler than that during that time. Another consideration for the future, it’s not uncommon to find a disease called ‘crazy top’ of corn when the tassels begin to emerge. 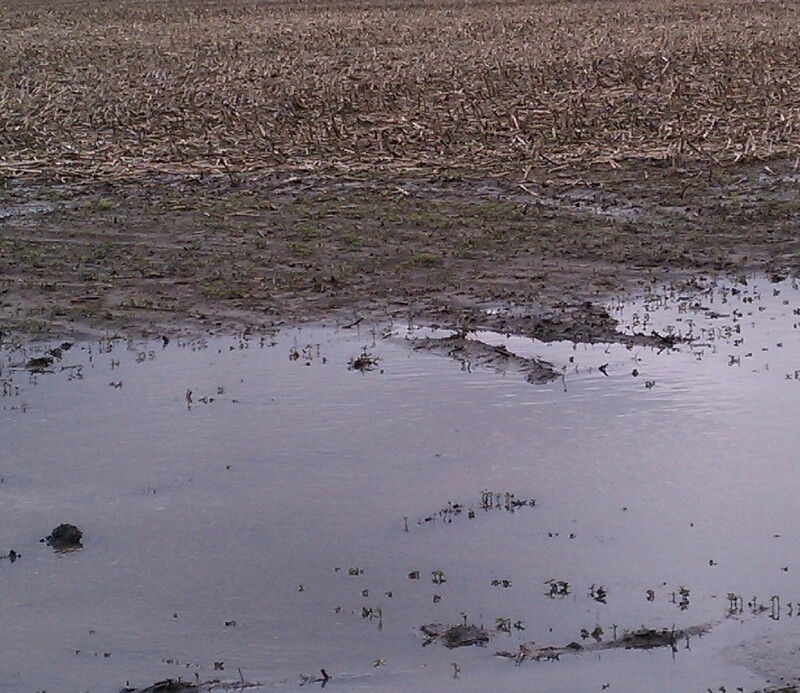 We’ve seen this the past several years where creeks or areas along waterways or field edges were ponded. There’s nothing you can do to prevent this. Cross-section of stem showing systemic Goss’ wilt in the discolored vascular bundles. cross section of the stem and looking for discoloration of the vascular bundles. You can also send plants like this to the Plant and Pest Diagnostic Lab in Lincoln for confirmation. Regarding fungicide use on hail damaged corn, Iowa State and the University of Illinois did studies finding similar results. Both found no statistical difference in applying a fungicide vs. the untreated check in spite of small numerical differences. Regarding timing, the Iowa State study simulated hail damage at tassel and applied fungicide an average of 3 days and 8 days post-hail. 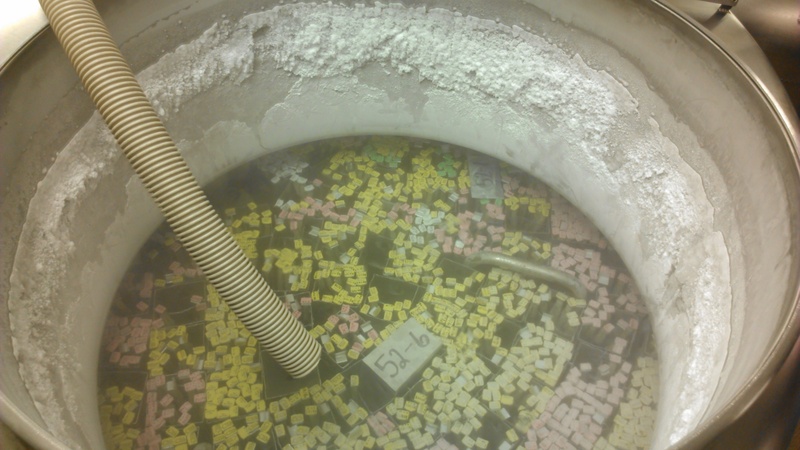 There were no statistical differences on yield of the timing of the applications either. They did find statistically less fungal diseases in the hail-damaged plots vs. the non-hail damaged plots and speculated it was due to more air flow and less leaf area available for disease to occur. 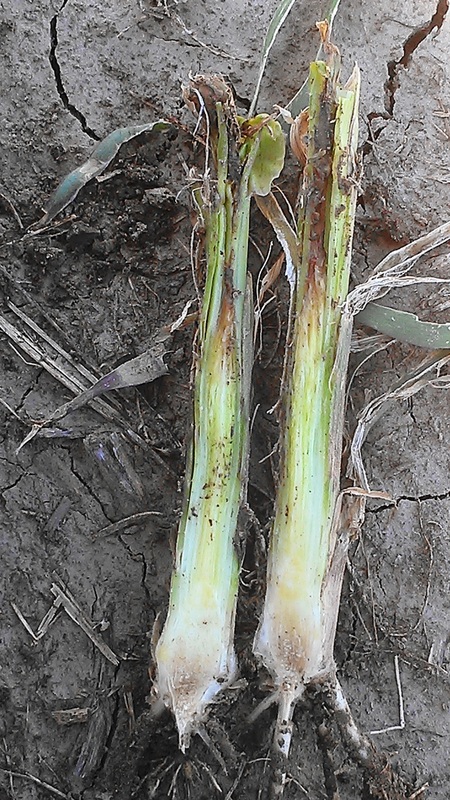 I have observed that fungicide can help with stalk strength and maintaining whatever green tissue remains when we had the 2013 hail storm in Clay County at brown-silk to blister corn. But this early, it’s hard to justify a fungicide application based on the data that’s available. If you’re interested in testing this for yourself, the following is an on-farm research Fungicide Protocol for Hailed Corn and Soybean. For hail damage on soybean, many of the beans are at flowering or approaching flowering. Again, stem bruising isn’t counted in crop insurance assessments. I haven’t really observed bacterial or other disease issues necessarily from stem bruising in soybean. What tends to be more of an issue is those plants hardening off and becoming brittle to walk through. For soybeans, the blessing is that often new buds form and you will see increased branching which can help with canopy closure…it just can hurt right now when soybeans were already near canopy and we’re trying to reduce additional inputs for weed control. Things to consider are that pods may be closer to the ground from this increased branching and you may need to harvest earlier to help with getting beans that become brittle before snapping off in wind storms. I leave plant stands of near 60,000 plants/acre based on our soybean pop studies that received hail damage. If you want to prove any replanting differences to yourself, you may wish to consider the following Soybean Replant Protocol. We’d recommend waiting on herbicide apps till some new growth occurs, which is difficult when I’ve watched palmer essentially be not affected by hail and put on two new leaves within a few days in the past. Last year we started making herbicide apps 5-7 days post-hail. Additional hail resources are at a new resource called ‘Hail Know’ at: https://cropwatch.unl.edu/hailknow. There’s a lot of info I haven’t transferred to this site yet…but you can view photos and comments on hail recovery at numerous growth stages over time at my blog under the ‘Storm Damage’ category: https://jenreesources.com/category/storm-damage-2/. Last week I shared the following video regarding determining timing of off-target dicamba movement to soybean: https://youtu.be/rQid7-vX-TU. Sharing again with an increase in the number of fields that were experiencing cupped symptoms last week. Memorial Day storms hit us again this year, this time with the EF2 tornado in Edgar. I checked NE Rain, and for the month, Clay County received between 5.9-9.7″ of rain with nearly 3/4 of that coming in the last 6 days ! Even with the saturated soils and localized flooding, there is still potential for drought. It was this way last year at the end of May before the rains shut off in early June. 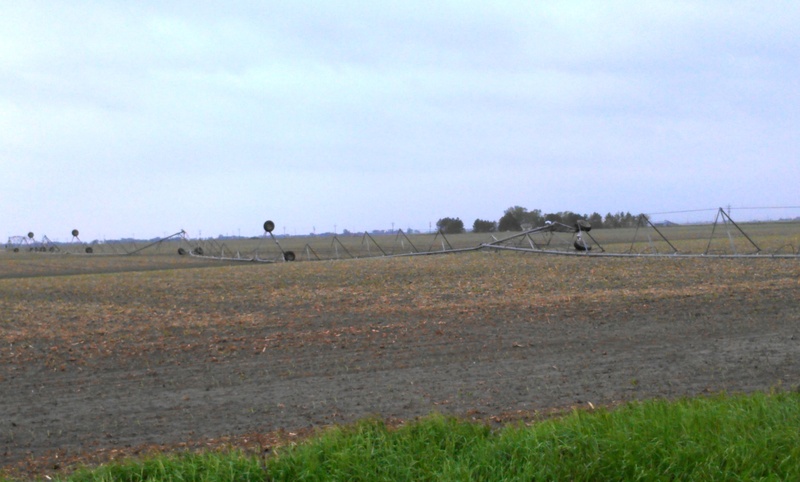 I’ve received questions regarding potential storm damage to crops. Normally I’ve found that waiting a week helps with determining regrowth and decisions. Overall, we’re fortunate that crops were so small. 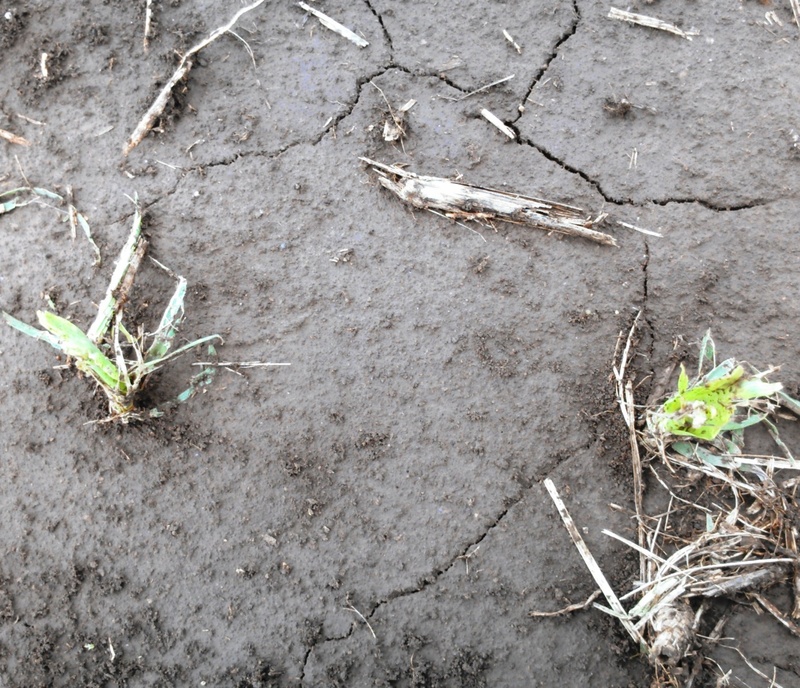 Much of the corn was V1-V3 and the soybeans were anywhere from not planted to cotyledon stage. 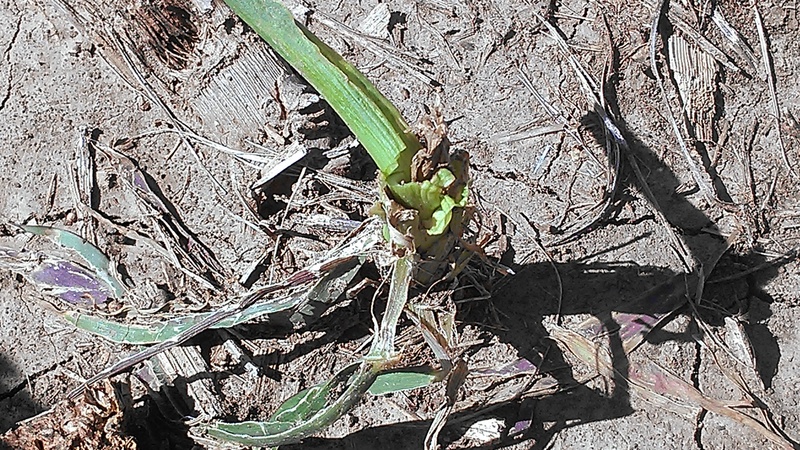 The majority of damage occurred where emerged plants were silted over with soil and/or residue, standing in water for periods of time, of left with stems due to high wind and/or hail. 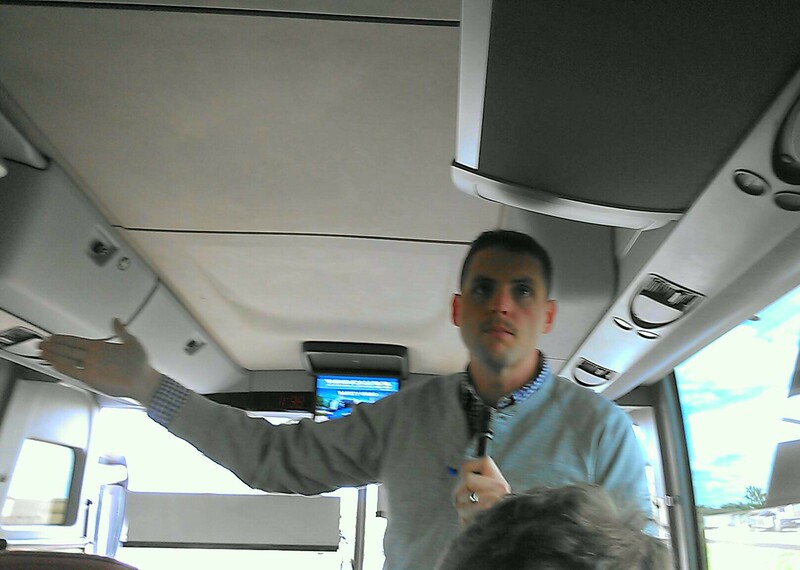 According to Purdue University Agronomist, Bob Nielsen, it takes around 48 hours for oxygen to be completely depleted from saturated soils. Plants that are emerged above the water have a better chance of survival than those below it; however, it’s hard to tell exactly how long plants can survive in those conditions. We also have several areas where plants were standing in water for a few days, the water receded, and now they’re standing in water again. Only time will tell how those plants will fare. 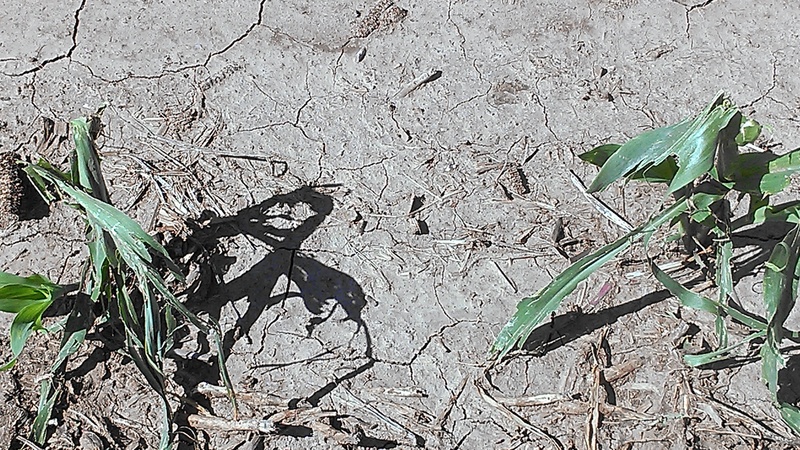 Because the growing point of affected corn plants is below ground, in many situations, plants should recover if the growing point remained healthy. Hopefully only small areas will need to be replanted. For crop insurance decisions and options, please check out the following CropWatch article. 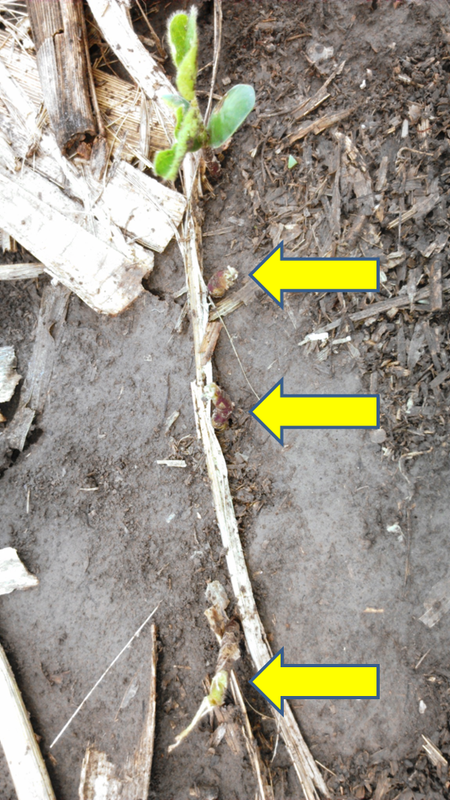 Some emerged soybeans that were at cotyledon stage have been reduced to stems leaving gaps between healthy plants. Soybean plants can compensate for reduced populations; however length of gaps and final stands do need to be assessed for replant decisions. 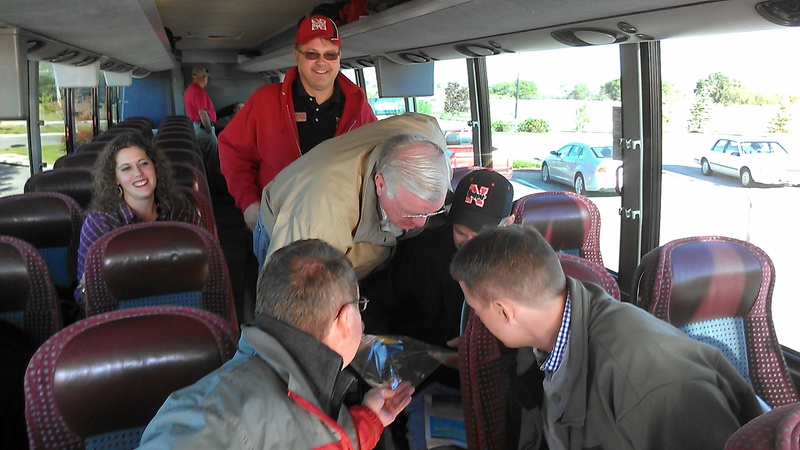 UNL on-farm research has shown less than 1.4-2.0 bu/ac yield difference between planting 90,000 and 180,000 seeds/acre. (See report.) In our research, 90% of the planted stand was achieved at both seeding rates in irrigated 30-inch rows in no-till and ridge-till fields. Consider what was found in 2006 in one dryland field in Nuckolls County where seeding rates of 100,000, 130,000, and 160,000 seeds/acre were planted. 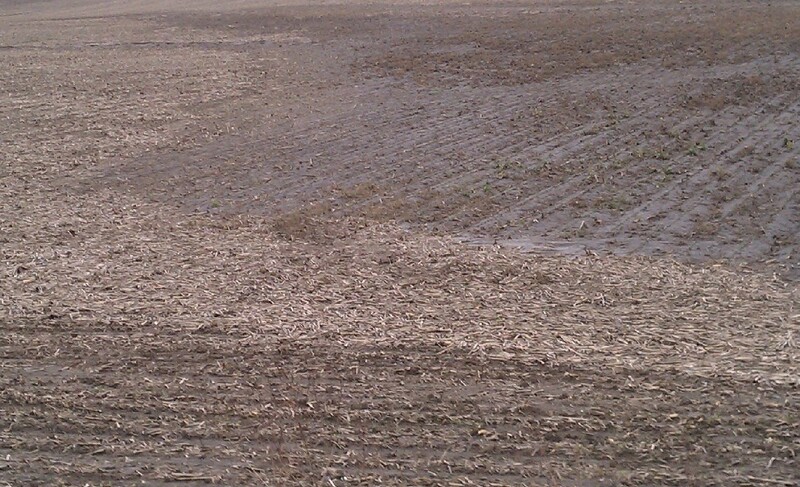 This field was at the cotyledon stage when it was hailed. Some plant stands dropped to 67,000 plants/ac. 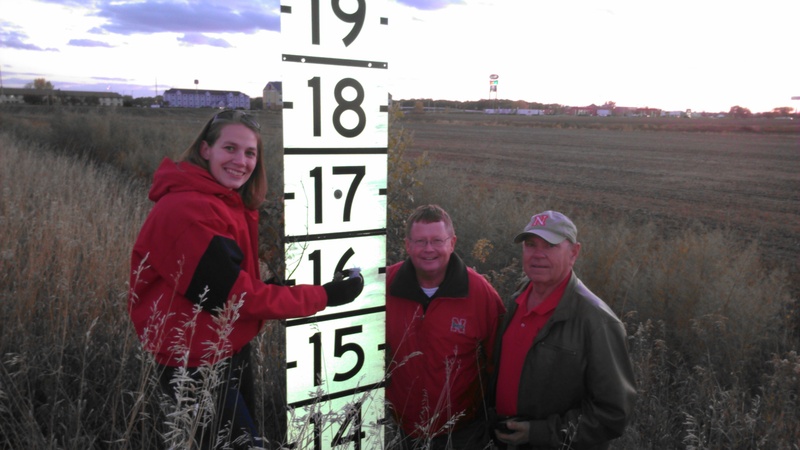 Yield was 4 bu/ac less than in the 160,000 seed/acre planting that had a final stand of nearly 98,000 plants/ac. 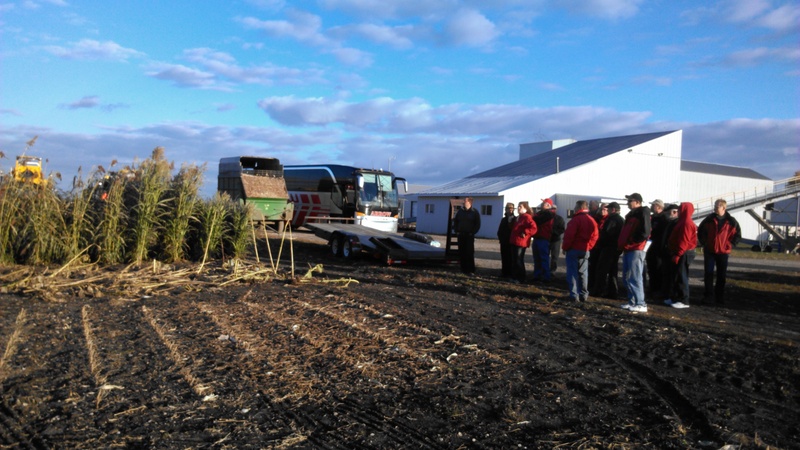 The average yield in the field was 40 bu/ac. While this is only one field and one year of research, it is an example of how soybean plants can compensate for reduced populations by branching and how August rains in dryland can still allow reasonable yields to be produced. Based on our on-farm research, leaving dryland stands of at least 65,000 plants/acre and irrigated stands of 90,000 plants/acre is likely a better choice than replanting, in the event that the gaps between plants are not large and are fairly even. Many of the soybeans worst affected were reduced to stems. 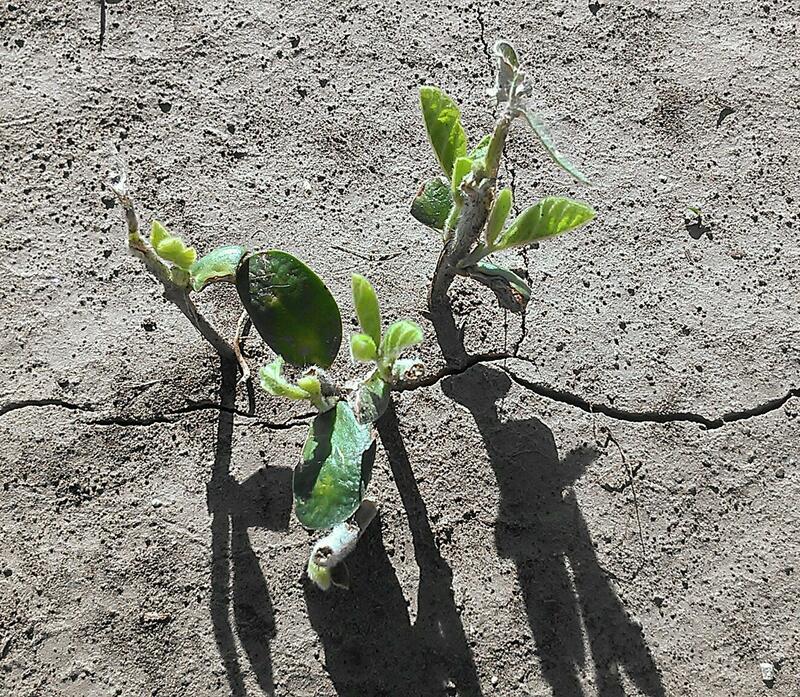 Last year we watched as soybeans continued to develop plumules after the hail events and soil crusting in our area. The plumule, which is the seedling stem tip and its undeveloped leaves above the cotyledonary node, may remain, but without the cotyledons to serve as a carbon and nitrogen source, development of new seedlings with small leaflets will be slow. These plants may not become competitive with surrounding plants in terms of pod and seed production. Therefore, when counting seedlings to determine plant stand, count only the seedlings that have at least one cotyledon. You can count seedlings missing cotyledons if they have large unifoliolate leaves that will soon unroll as in this picture. we will monitor damage early next week to help with replant decisions. Overall, I feel we are fortunate that the crops were so small and crop damage does not appear to be severe other than all the pivots that need to be replaced. We will also need to watch for potential disease damage in weakened plants. 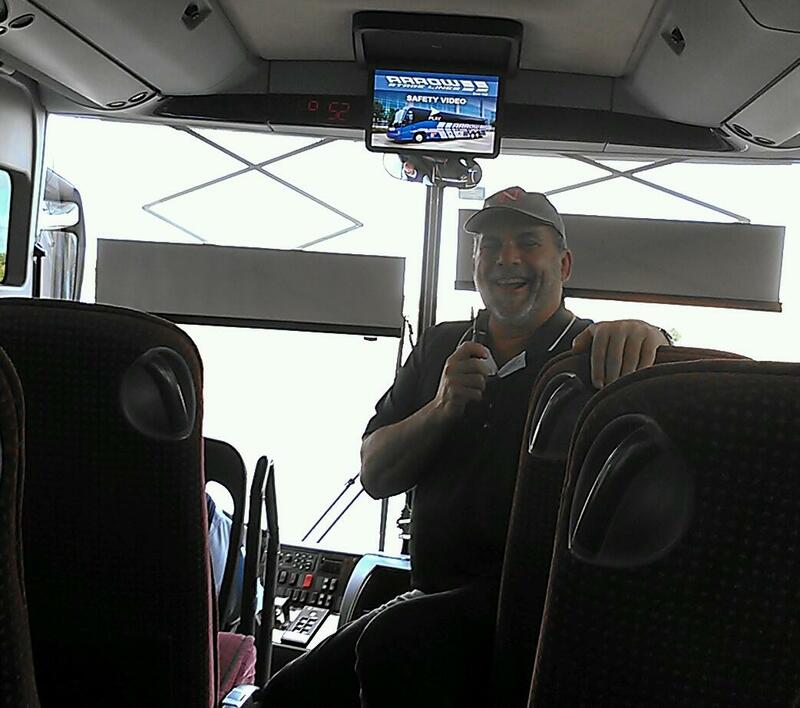 For crop insurance decisions and options, please check out the following CropWatch article.